For all those who enjoy reveling in "back in my day" stories, you may soon have one more to add to the list: "Back in my day, kids were allowed to blow out the candles on birthday cakes." 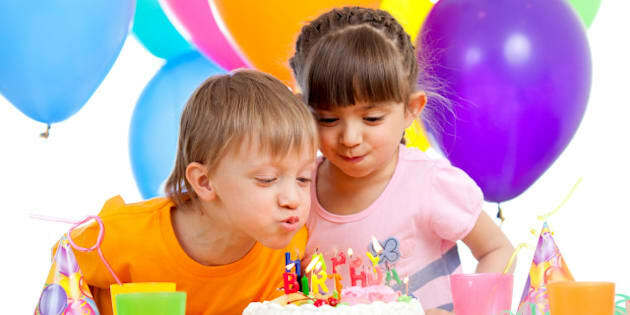 As reported by the Australian Daily Telegraph, guidelines from the country's health department for keeping children safe from illness include instructions for the birthday boy or girl to bring in an individual cupcake to class if they want to blow out the candles. Though initially reported as "bans" on birthday wishes (which Australia's National Health and Research Council was quick to dispute, in the country's wonderfully direct approach to such matters), the instructions remain clear — don't spread your germs to other kids in the class, and maybe reconsider the practice overall. It's certainly a thought that's crossed more than one person's mind while attending a birthday party, as the guest of honour huffs and puffs over the food everyone is about to eat. As an article in the Examiner notes, cold and flu symptoms aren't apparent for the first two days of the illness, when the person is in fact most contagious, and blowing out candles is the equivalent of putting microscopic germs all over the cake. Doctors in Australia, meanwhile, are calling this an excessive measure, with Australian Medical Association president Steve Hambleton noting to News Ltd. that not many organisms are transferred, and besides, the immune system needs to build up against antigens for health later in life. Microbiologist, "Germ Guy" and HuffPost Canada contributor Jason Tetro agrees. So readers, what do you think? Is it worthwhile to stop blowing out the candles during flu season, or does it seem excessive? Let us know in the comments below!